Gets to the point where I see it so much I have to close the page. 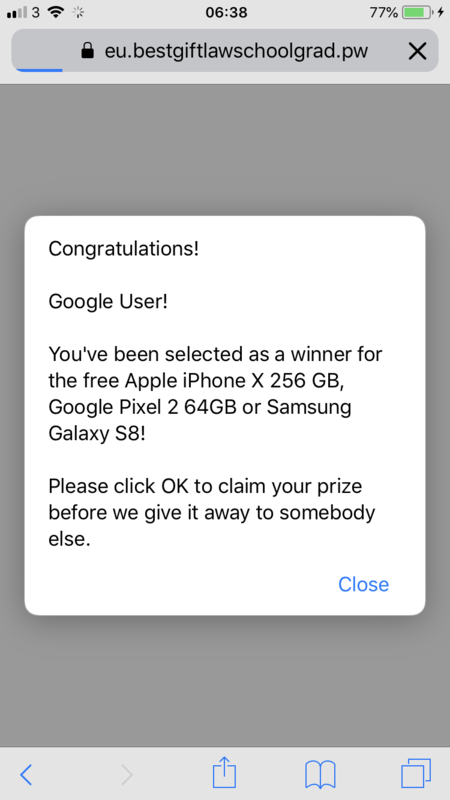 Noticed a few days ago when I come to dcoobynet via an iPhone 7 a congratulations you’ve won competition screen jump up. really annoying and I normally only ever see this screen on naughty sites. had it come up 3 times this morning and have to click fast to get to a thread before it pops up. Last edited by RobsyUK; 27 August 2018 at 06:39 AM. lost password of my account, email linked to that profile doesn't work anymore. Quick Reply: Competition winner jumping up.